The local ZenFone community can breathe again. After unveiling its latest hero phones at the Mobile World Congress or MWC 2018 in Barcelona, Spain, ASUS has unveiled the new ZenFone 5Z and ZenFone 5 in the Philippines. And while on the surface the two phones look identical, on the inside, the differences are glaring, as indicated by their price tags. To be sure, the ZenFone 5Z is this year’s ASUS flagship, while the mid-market ZenFone 5 will make do with a tamer specs sheet despite looking the same as the 5Z from the outside. 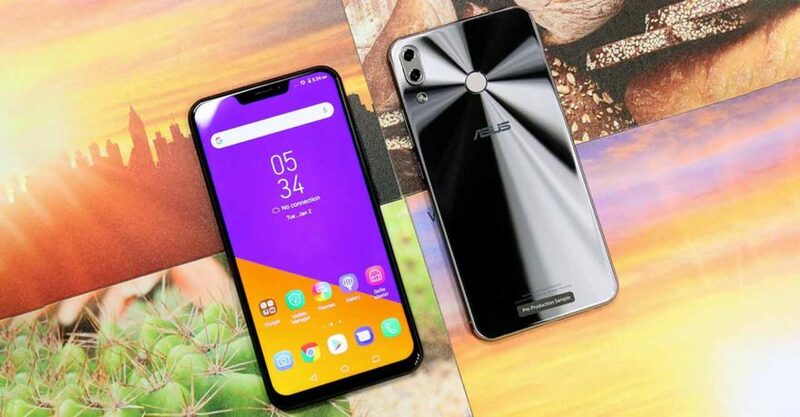 While on the surface the ASUS ZenFone 5Z and ZenFone 5 look identical, on the inside, the differences are glaring, as indicated by their price tags. Locally, the ASUS ZenFone 5Z will go on sale with a suggested retail price of P29,995 (around $578) starting June 2018. The ASUS ZenFone 5, on the other hand, is now available for P19,995 ($385). And yes, to address the pink elephant in the room, these devices take their design cues from the Apple iPhone X. They have notches at the top of their end-to-end displays, and they come in glossy finishes that demand a bit of wiping every now and then. ASUS even planted their dual-camera systems in the same location that Apple planted the iPhone X’s. Even so, we would be lying to ourselves if we said the ZenFone 5Z and ZenFone 5 aren’t the prettiest things ASUS has ever produced. Moving to the front, a 6.2-inch LCD display can be found in both devices. The screen has a “good for content” resolution of 2,246 x 1,080 pixels and an 18.7:9 picture format. These specifications are fine in the midrange — it’s practically standard across the category. However, we couldn’t help but notice the omission of a higher-resolution screen on the ASUS ZenFone 5Z given its upmarket price. This isn’t a sensible route for any flagship that isn’t competing with what the likes of Xiaomi and OnePlus have to offer. The front- and back-facing cameras are a big attraction across the entire ZenFone 5 lineup, and these two phones share identical hardware on both sides. There are 12- and 8-megapixel shooters at the back, and 8 megapixels on the flip side. As for the internals, the ASUS ZenFone 5Z gets a Qualcomm Snapdragon 845, the very best Snapdragon processor money can buy right now, coupled with up to 8GB of RAM and 256GB of expandable storage. The regular ZenFone 5 drops to a Qualcomm Snapdragon 636, which is still an excellent but less capable design. The company pairs the Snapdragon 636 with 4GB or 6GB RAM and 64GB storage. A 3,300mAh battery is tucked away within the sleek frame of both models.